Over the years you’ve put a lot of time, effort and energy into acquiring your possessions. The backing of quality insurance is the best way to protect the most important items in your life. At Taake Insurance Agency LTD in Columbia, IL, their experts are dedicated to helping individuals across Monroe County and your family find the right insurance plan to fit your situation. For more than 40 years, this locally owned and operated insurance agency has continued to help individuals and families through personal service. 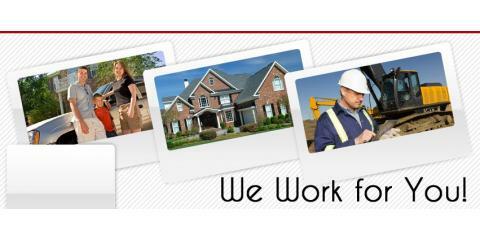 Their agents will listen to your questions and concerns to develop a clear picture of the insurance policies you need. They work hand in hand with brand name insurance companies including Allstate, AAA and PROGRESSIVE. They will save you time by locating the right coverage at affordable rates that match your budget needs. Clients can expect the agents at Taake Insurance Agency to continue to satisfy their expectations with follow-up calls and visits. They will diligently search for better options using periodic reviews to keep you in the best situation possible. When choosing your next insurance policies, put your trust in the professional team at Taake Insurance Agency. Call them today at (618) 281-7656 to schedule an appointment or visit them online.